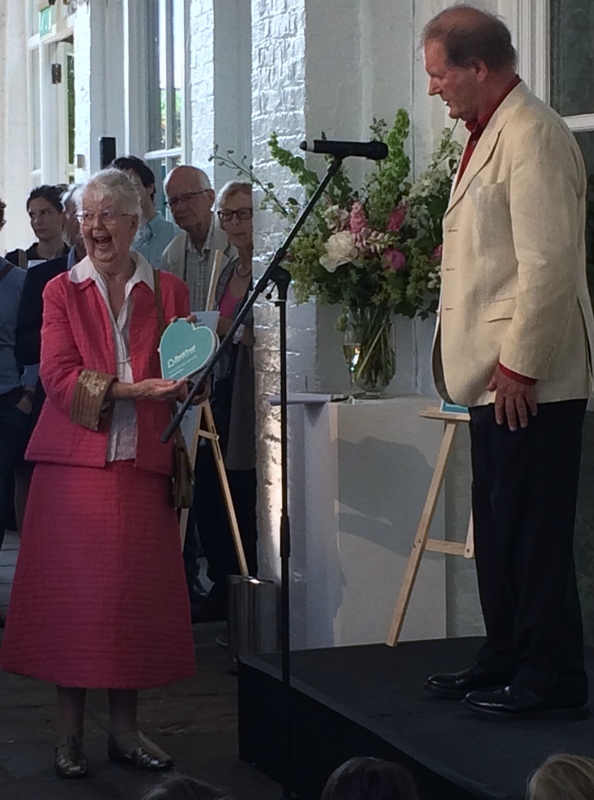 On 7th July 2015 Booktrust gave its first ever Lifetime Achievement Award. On a gloriously sunny day at the Orangery in Holland Park a glittering collection of children’s writers and illustrators gathered for the inaugural ceremony. Despite the salubrious gathering, there was only one person in this very literary crowd that mattered on this day, and that was the winner, Shirley Hughes. Michael Morpurgo gave a touching speech about Shirley’s influence and impact on the world of children’s literature, and Shirley herself spoke beautifully about how she feels about books and reading. A group of small children from a local primary school were invited and they sat in quiet rapture as she first spoke to them, and then went outside to draw for them. I have attended countless author and book events and awards, but this one had a magical quality that I’ve never seen before. 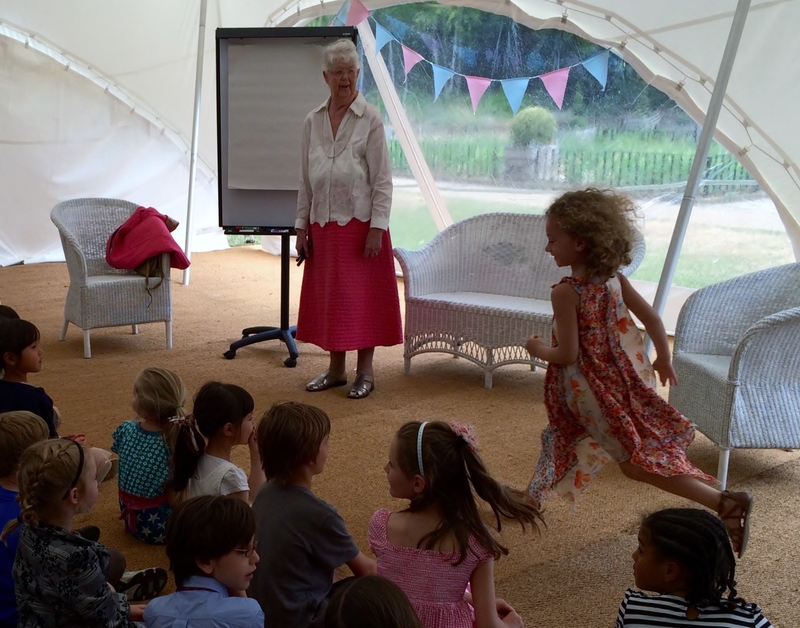 This came not just from being in the presence of someone as truly lovely as Shirley Hughes, but from listening to the stories of other people about how much her books mattered to both them and their children. I quickly realised that the conversation at this event was not quite like that at other events. A woman standing next to me was clapping furiously as Shirley went up for the award. Afterwards, this woman told me that if it wasn’t for Dogger she never would have been able to get her autistic son to sleep. She described how he bonded so well with the story, and the fears of loss of a beloved toy, that all she had to do was read a few pages and he would become calm and fall asleep no matter where they were in the world. She said that book saved her sanity, and made her relationship with her son stronger. I walked over to another group of people and they were talking about how important Shirley’s books are in their families too, and how they “never left home without a stack of them.” Another woman told me that she used to read the Alfie stories to her daughter when she was in hospital being treated for leukaemia and that Shirley’s books allowed them to “feel at home” when all around them was a chaos of drips and tubes and medical equipment. Another group of people and this conversation was about how “effortlessly diverse” the books were and how much that mattered to their children. How so many books were full of white faces and didn’t represent the lives of their children, but Shirley’s books always show a more natural mix of people of all races and cultures. The overwhelming feeling was one of love – people really love her books and the children who read them have grown up to be adults who still love books and reading, and I’m sure the next generation will too. Her books are never schmaltzy or cloying, but instead show a simple and caring world where every child is valued and listened to. She has created a place where we all want to be, and makes us all remember what it was like to be a child. My story? Well, as a young and depressive mum I spent a lot of time in a panic that my house wasn’t tidy enough and I wasn’t doing things right and that I was a mess. I lived with a constant gnawing belief that I was a failure, that my house didn’t have the pristine gleam of perfection that other parent’s houses had, and that I was not the sort of woman that I should be. Then I picked up a copy of Alfie Gets In First at the library and took it home to my baby. Alfie’s house was beautifully cluttered and real, and his parents were absent minded and disorganised. Their children got muddy, and fell down, and made a mess and as parents they forgot to do things and they weren’t perfect. Alfie got himself locked inside the house alone, and it was fine, it all worked out. Alfie’s mum is not perfect, and she’s in jeans and boots with messy hair and no-make up, and she drinks endless pots of tea, and reads books, and jumps in puddles and forgets stuff and things still work out just fine. I can’t even begin to tell you how much I needed to see that. I wasn’t perfect, and I didn’t have to be – what’s perfect anyway? It was the start of seeing myself in a different way. That’s what great books do, they take you beyond your own life experience, but they also normalise it. Reading something that shows you that you are not alone, and that other people live like you, and that others share your experiences, is enormously beneficial and has a power way beyond the page. My daughter grew up on Shirley Hughes’ books and has become a well-rounded adult with a good degree and she still loves reading – and Alfie Gets in First is still one of her all-time favourite books. My house is still cluttered, and I never did become perfect because, thanks to Shirley, I stopped trying and allowed myself to enjoy life a bit more. So thank you Shirley, you made life just that bit easier, and your books are truly delicious. This entry was posted in Reading and Readers and tagged books, Booktrust, children, picture books, reading, reading for pleasure, shirley hughes. 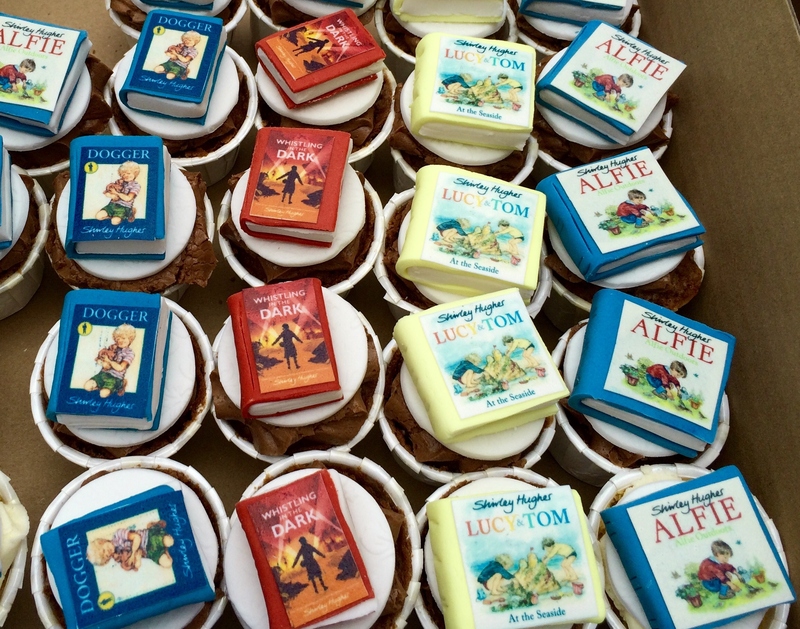 Thank you for a lovely appreciation of a very special author & illustrator. As a parent I loved to read & share Shirley’s stories with my children, especially the Tales from Trotter street & particularly Lucy & Tom go to the seaside. My children also love her books!